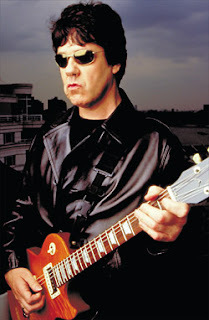 Gary Moore has been a long-time guitar hero for me, from his work with Thin Lizzy, on through his extensive solo career. Today I am reviewing one of his original-series signature model Gibson Les Paul guitars. 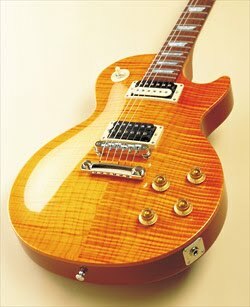 This guitar was officially launched at the 2001 winter NAMM show, and is one of my favorite Les Paul signature models. It was produced for just a few years, and then was discontinued. In 2008 Gibson introduced the cheaper Gary Moor BFG model, which is quite a bit different, and I know virtually nothing about. I had better start out with the obvious: even though it has some different features, this thing is still a Les Paul. It has the same shape and all of the playability you would normally expect from a Gibson Les Paul. In many ways, this 2001 guitar is built with a lot more care than current production Gibsons. The body is made from a single piece of South American mahogany. It is not chambered, so it has plenty of heft like a true Les Paul should. It has a nice AA flame maple top, and NO binding. That’s different -- Gary wanted this to appear different than other Les Pauls, and it was his call to make. The body is finished in a thin nitro-cellulose, and the color is different than anything else Gibson makes, based on Gary’s old “Greeny” guitar. It is a very subtle burst from lemon to hint of cherry, and I have heard some refer to it as “unburst”. Hah hah. Also, at Gary’s request, these guitars did not come with a scratchplate installed. They came with one in the case (with his signature on it), but you had to install it yourself if you wanted one. The neck is a little different too. It is mahogany with headstock wings, but the rosewood fretboard is unbound. There are still pearl trapezoidal inlays on it, though. The profile is sort of like a 1959 model, with a thick C-section. It feels a little shallower at the first fret to me, though, and having no binding makes the neck feel completely different to me. The 22 frets on the 24.75”-scale neck are medium oval shape, which is a little bit weird because Gary has all of his guitars refretted with jumbo wire, but the smaller frets do make bending a little easier. The frets are leveled and finished way better than anything I see the Gibson factory putting out today. The hardware is all nickel-plated. The Gary Moore model uses a Nashville-style tune-o-matic bridge and stopbar tailpiece. This is definitely an upgrade over the unsteady ABR-1 bridge that Gibson sometimes uses on vintage-style instruments. The pegs are Schaller's version of the classic Kluson tuners that are well-matched to the Gibson headstock shape. I guess all that is left to write about is the electronics. There is the usual 3-way switch and volume and tone controls. The pickups are Burst Buckers, which is nothing ground-breaking. But it sure was back then, as this was the first guitar Gibson ever built with Burst Buckers (trivia!). It has a reversed zebra (adjustable coil inwards) at the neck and an open coil at the bridge. You would almost figure they would be wired out of phase to better match Gary’s tone, but what do I know? Either way, you can get a metric ton of tonality from this guitar. It can be soft and mild or raunchy and loud, and everything in between. Combining this with the playability of the unbound neck with medium frets, this is the friendliest Les Paul you will ever play. If you can only have one Gibson, this is the one to get. The guitars shipped in a Gary Moore signature case with a blue blanket. 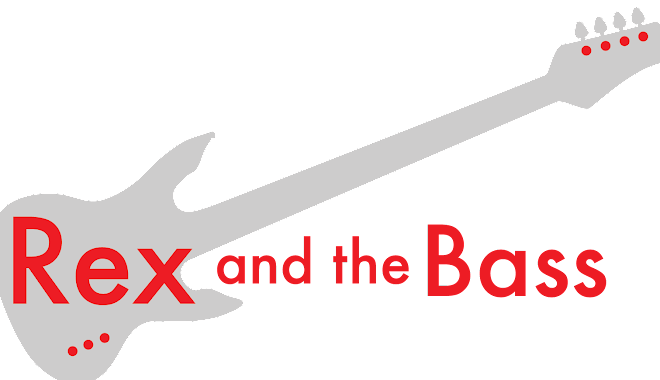 The cases did not wear well over time, so you might not get an original case if you find one of these guitars. These sold for around $3000 new, and of course are no longer available. You rarely see these on eBay, so grab one when you see it if you really want one. They sell for around $1800 to $2000 currently. By the way, Gary sold his 1958 Les Paul late last year for $275,000. One of these used re-issues might be a little more in your price range.